The Summer of Would You Like to Pawn or Sell It? one of the gifts of education. I think my husband has become envious of my time off. He’s already taken two weeks off from his job this summer and seems to be coming home earlier and earlier each day. his baseball card collection worth $250. Don’t even get me started on Storage Wars! Yep! Parenting Pearl: The old parenting advice: it’s Quality not Quantity time, isn’t exactly true. Kids really want lots of quality time. Even if it is time spent discussing if Bryan got a good price for his newspapers with the Elvis articles or if Roger should have taken the deal offered for his little piece of the space shuttle or does Old Man ever smile. Below is one of the best gifts I ever got from my husband’s family. I believe it came courtesy of Cousin Donna. Thanks, Donna! Mix pudding and milk until firm. Stir in sweetened condensed milk and whipped topping and mix well. 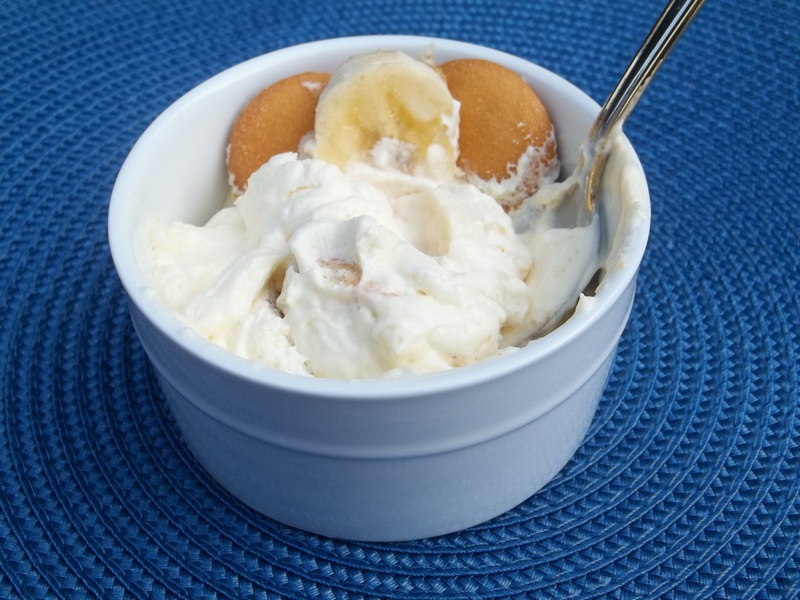 In a large container, alternate vanilla wafers, sliced bananas and pudding mixture. Repeat 2 more times. Unfortunately, I don’t think he’ll part with any of his “treasures”.